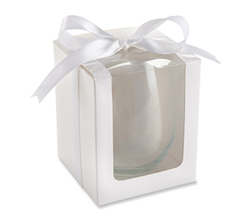 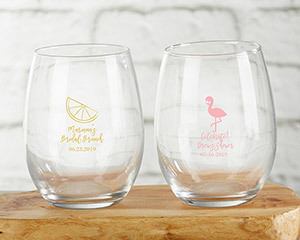 A glass of wine or signature drink is the perfect complement to any Cheery and Chic bridal shower, birthday party or baby shower, and our 9 oz. 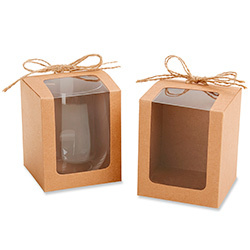 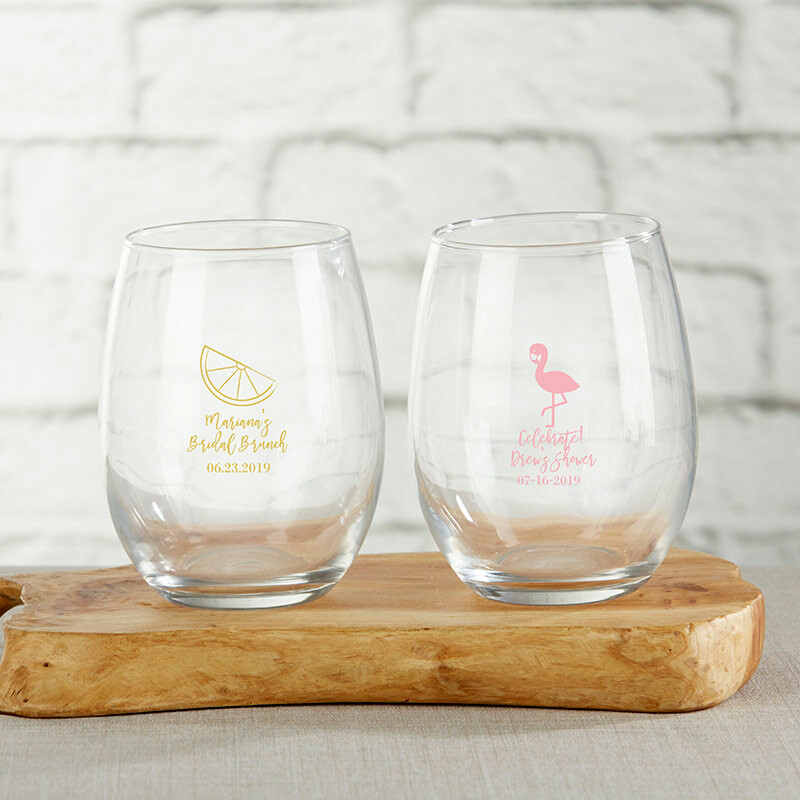 stemless wine glasses are the perfect drinkware choice. 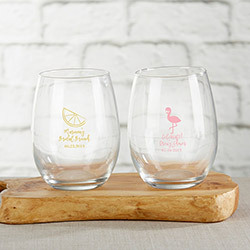 Adorned with a bright citrus slice or fun flamingo, these wine glasses can be customized with up to three lines of text and printed in a variety of colors--including light blue, pink, silver and gold—to fit any party color palette.